I read somewhere that something like 7 out of the last 8 films Depp and Burton have done together have featured Depp playing a wacky eccentric in heavy white make up. The other film was animated. maybe they’re trying to be retro with a twist: whiteface instead of blackface. 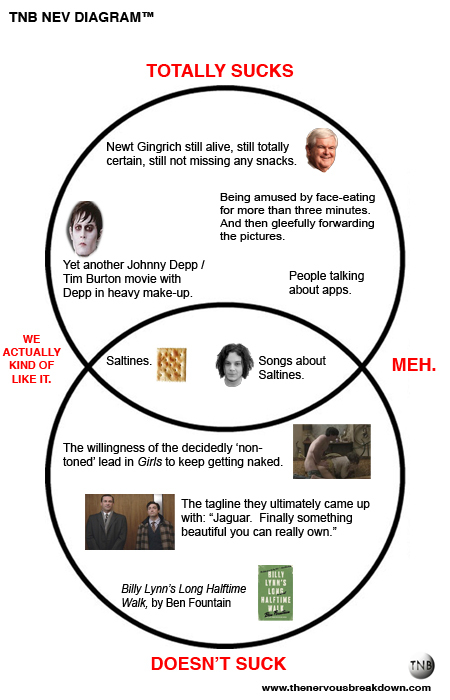 or both burton and depp have deep-seated racial guilt issues. or just maybe neither of them are as creative or original as they think they are, or like to be thought of. Both of them keep traversing the same old ground, probably patting themselves on the back as they go, stopping only to write Helena Bonham Carter into it somehow. “It’s entirely Burton’s fault.” I couldn’t agree more, James. Talk about living in a vacuum. Next film: Johnny Depp stars as Estee Lauder. Except with knives for breasts.